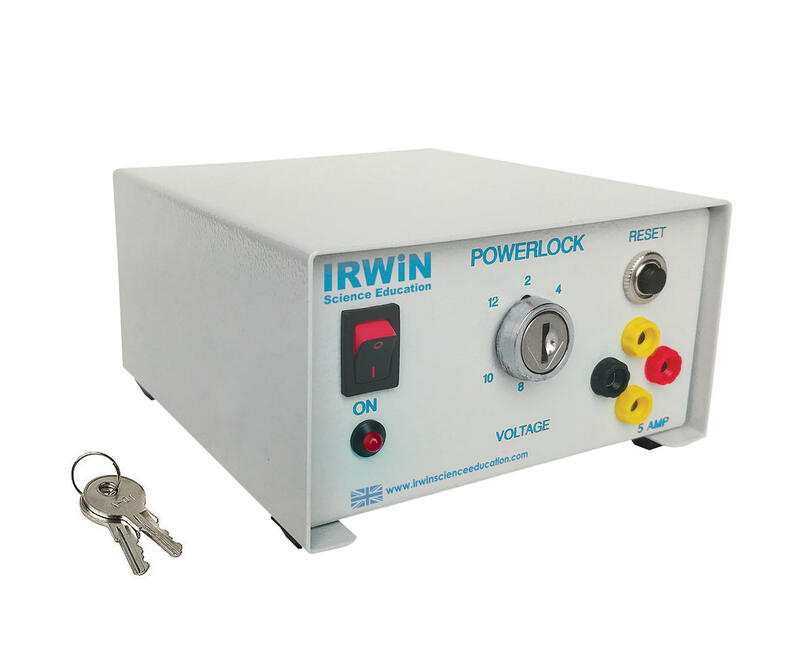 The Powerlock power supply has both a lockable AC and DC outputs ranges by a simple key making it impossible for students to change the voltage. 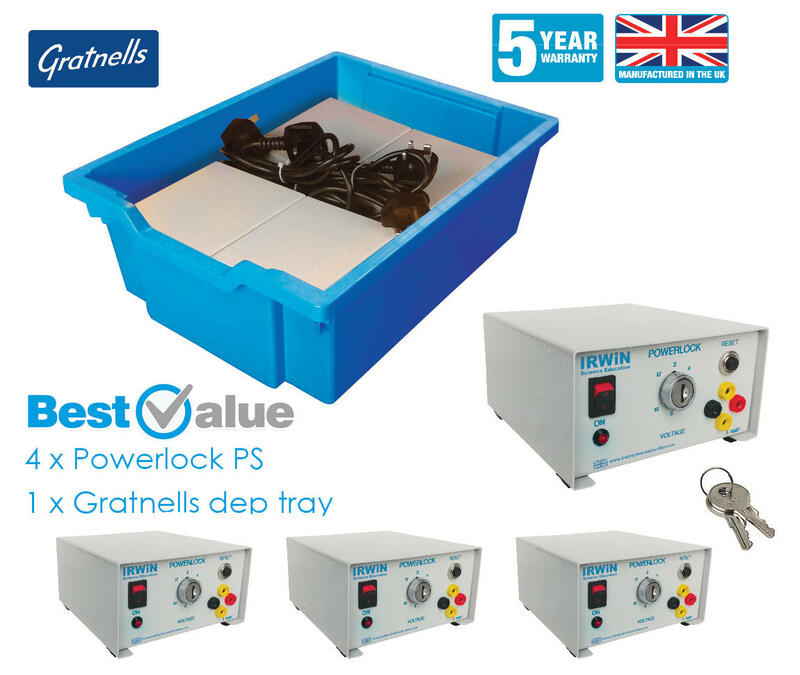 The Powerlock offers 2,4,6,8,10 and 12 in both DC and AC. 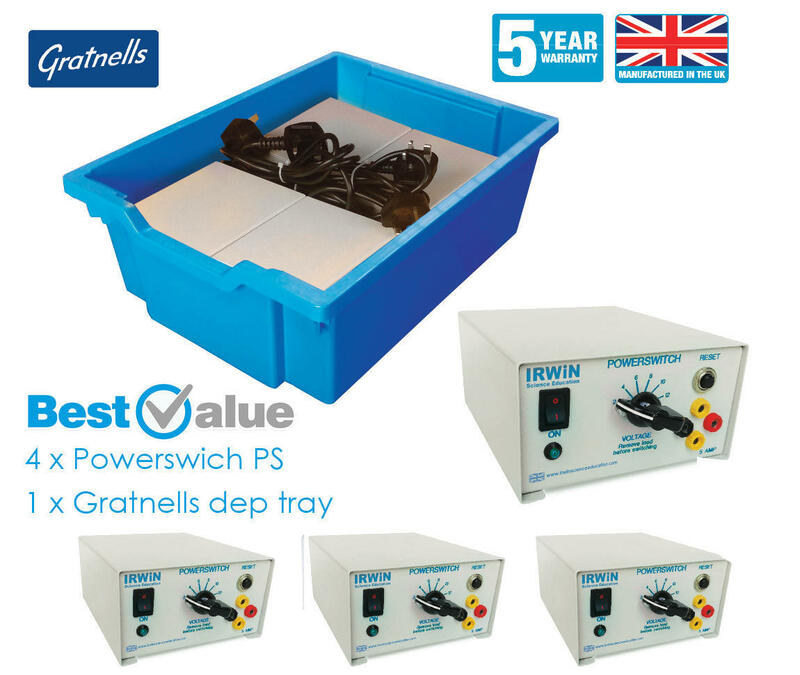 Outputs may also be used simultaneously up to the rated output required. For safety, the output is also protected by a simple push button cut-out. Each unit is supplied with 2 that can be used on all Powerlock units if needed. Supplied with 2 keys.